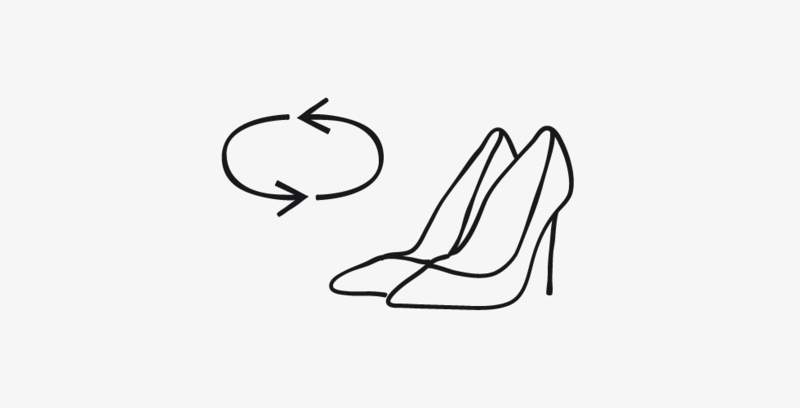 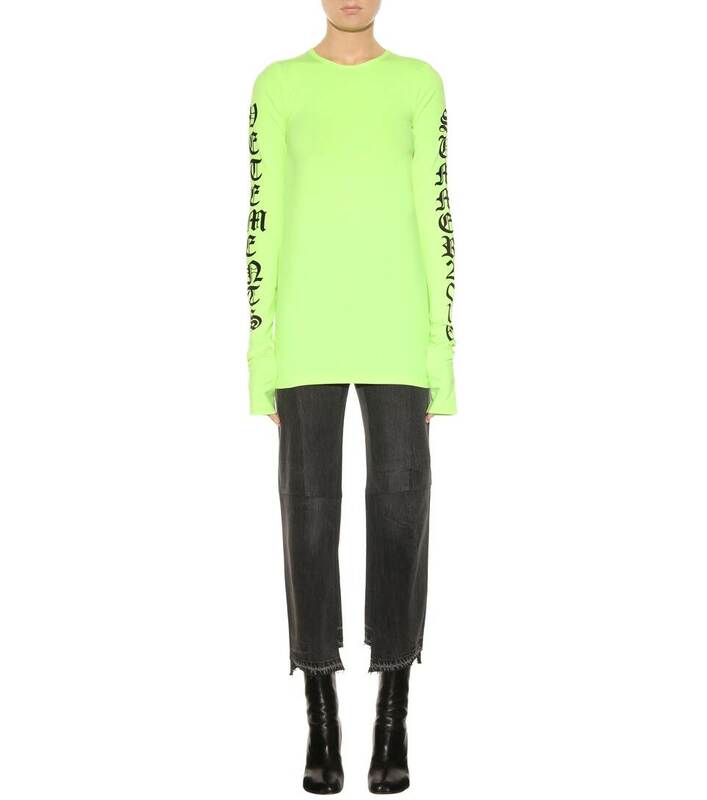 Opt for an urban-cool look from VETEMENTS this season. 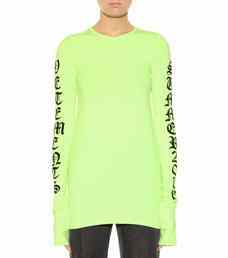 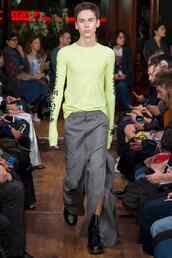 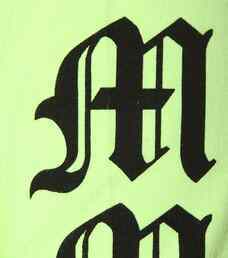 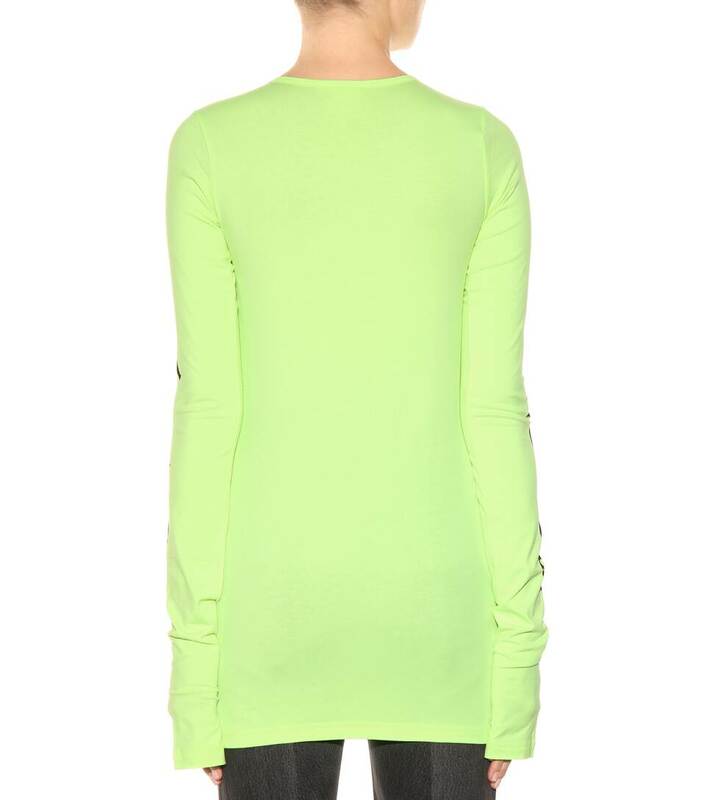 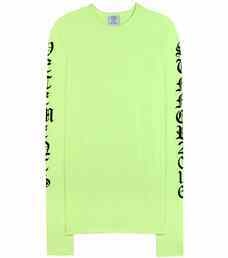 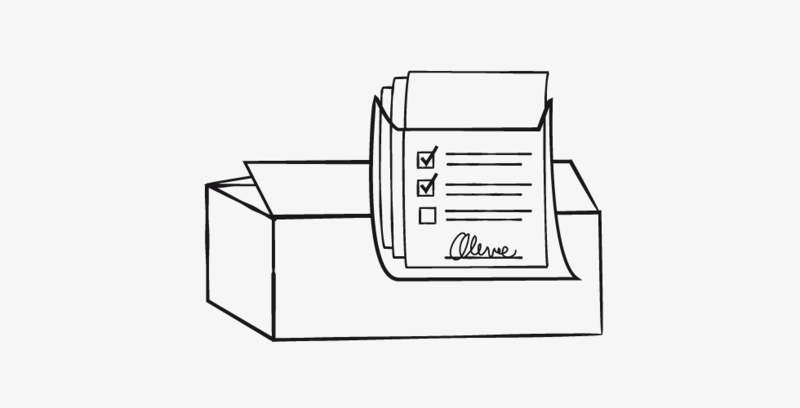 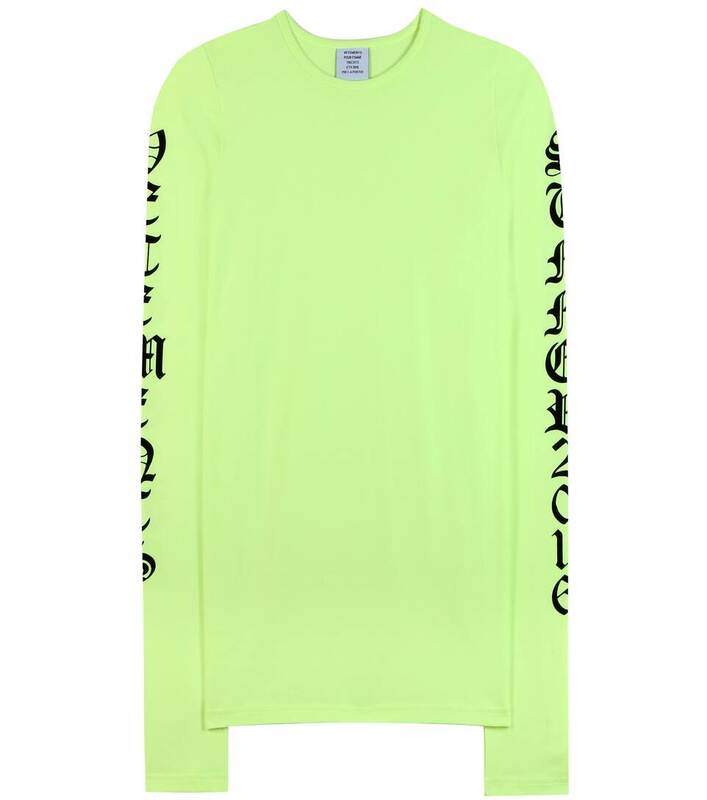 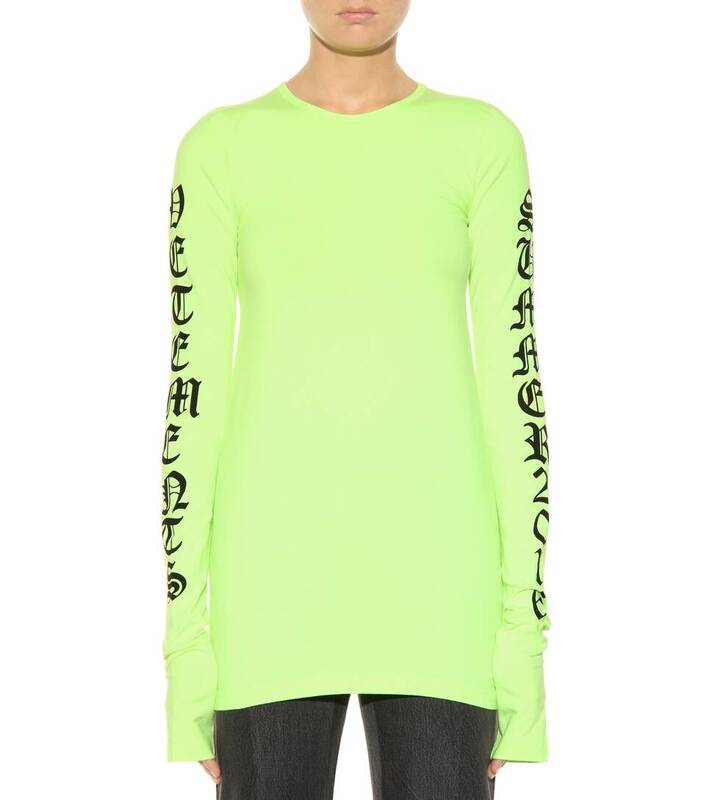 This neon-green cotton top redefines long sleeves with the label's signature super long sleeves. Printed with the season and the brand for instant recognition, take notes from the house itself and offset this one with a structured trouser.